A quick search for “Mahdi” and “Mehdi” and “Twelfth Imam” in the 294 messages so far published in diplomatic Wikileaks reveals some references to individuals with those names, and a couple to Moqtada al-Sadr’s Jaysh al-Mahdi (spelled “Jaysh al-Madhi” in one cable by someone who is perhaps confused by the similarity of the name to that of Mahatma Gandhi), along with three cables in which Mahdism is touched upon. Not only, he insisted, is the Iranian leadership “untrustworthy,” and dominated by a group of “messianics,” who base crucial decisions about domestic and foreign policy on a belief in the imminent return of the “Missing” (Twelfth) Imam. From my point of view, any foreign policy based on or strongly influenced by belief in the imminent return of a prophesied figure of good or evil, whether that figure be Moshiach or Christ or Mahdi, Antichrist or Dajjal, should be cause for concern: from a religious perspective, because messianic expectations are precisely what Matthew is talking about when he writes that “false Christs and false prophets will rise and show great signs and wonders to deceive, if possible, even the elect” (Matt 24.24) – and from a secular perspective because such identifications have been made again and again across history, often with disastrous results (think Waco, think the 1979 siege of Mecca, think the Taiping Rebellion). That’s why I’m interested in monitoring the various strands of apocalyptic thinking out and about in the world today. A Syrian journalist and blogger, who owns a media consultancy firm in Dubai, believes that many in the Arab street initially viewed Ahmadinejad when he came to power in 2005 as a “benevolent dictator.” Citing the tradition of the Mahdi, the media consultant argued that both Shi’a and Sunni Arabs are taught from early childhood to await the arrival of a strong and unimpeachable figure who will lead the Muslim world. The media consultant maintained that even secular Arabs view the world, albeit unintentionally, with this ingrained mindset. Our contact argued that Ahmadinejad played in to this narrative, and when Ahmadinejad arrived on the international stage many Arabs saw him, in contrast to their own flawed leaders, as a humble and pious man who was brave enough to stand up for his people and the greater Muslim world by confronting Israel and the West head on. However, both the intensely competitive campaign period and the forceful reaction by the Iranian people to the official election results have led some moderate Arabs to rethink Ahmadinejad’s true disposition. The election, the media consultant said, led some Arabs to understand that despite his astutely crafted and well-marketed image in the Arab world, Ahmadinejad is resented by many Iranians for domestic mismanagement, incompetence, and corruption. Because of this public fall from grace, so the media consultant told us, Ahmadinejad is no longer the “untouchable, holy figure” in the Arab world he once was — his flaws have brought him down to the level of the Arab world’s own imperfect leaders. Barack’s appeal is actually messianic, it’s something about his aura, his spirit, his soul, that exudes enlightenment in the making. I interpret Obama’s Lebanon, NH remarks as making light of that sort of projection (McCain’s video makes light of it, too), whereas Ahmadinejad appears to take his own status within the aura of the Mahdi all too seriously. The last reference allows me to end on a happier note. The French diplo Jean-Christophe Paucelle is quoted in 09PARIS1046 of July 31, 2009 on the topic of Ahmadinejad’s inauguration. Paucelle said that the case of detained French citizen Clothilde Reiss has also influenced the EU decision to attend the inauguration ceremonies. “We think she may be released soon, and we don’t want to create another irritant,” Paucelle said. “There are enough already.” He reported that the French have reason to believe Reiss may form part of a group of detainees likely to be released on the August 7 anniversary of Imam Mahdi. Paucelle noted that a letter released July 29 by Ahmadinejad supported the idea of granting clemency to post-election protesters during Mahdi celebrations. “The Iranians will need to take face-saving measures, and so she will likely transfer to house arrest or some other status,” Paucelle said. He added that, of course, she may not be released at all next week, but the French remain optimistic that she will soon be out of prison. Clotilde Reiss was indeed not released on that occasion — but she was in fact freed somewhat later, on Sunday, May 16th, 2010. Strategic dogma, that is. Thoughts by Joseph Fouche at The Committee of Public Safety. Heh. Regarding the crappy and buggy formatting performance of the comment field here that JF terms “the worst on the internet”, I’ll be happy to take suggestions for a new, no-hassle, plug-in that works well with wordpress. There were trade-off issues involved with what was available at the time of the last site redesign and I rejected options that were actually, if it is to be believed, worse. I would like to do some post holiday tweaking of the site and if there are better things out there, I’ll see if they can be used to replace the current plug-in. This is the television premier of this extraordinarily film. I wrote about seeing this film here. Restrepo chronicles the deployment of a platoon of U.S. soldiers in Afghanistan’s Korengal Valley. The movie focuses on a remote 15-man outpost, Restrepo, named after a platoon medic who was killed in action. It was considered one of the most dangerous postings in the U.S. military. This is an entirely experiential film: The cameras never leave the valley; there are no interviews with generals or diplomats. The only goal is to make viewers feel as if they have just been through a 94-minute deployment. This is war, full stop. The conclusions are up to you. I highly recommend this film to all of our readers. An information page for Restrepo is here, including video. RESTREPO, an award winning documentary, was based on (or more precisely, closely related to) the book WAR by Sebastian Junger, which told the story of the war against the Taliban in the Korengal Valley, waged by the soldiers of the 2nd Platoon of Battle Company. I previously reviewed WAR here and the movie RESTREPO here. 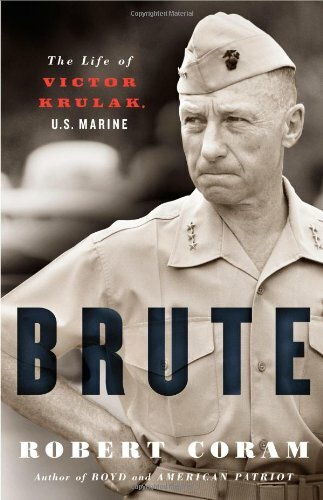 Just picked up a few new reads…..
Robert Coram, whom I had the pleasure of meeting at Boyd ’07, has a new biography of the legendary military visionary and Marine Lt. General Victor “Brute” Krulak, reviewed here by Max Boot and here by Tony Perry (Hat tip to Dr. Chet Richards). 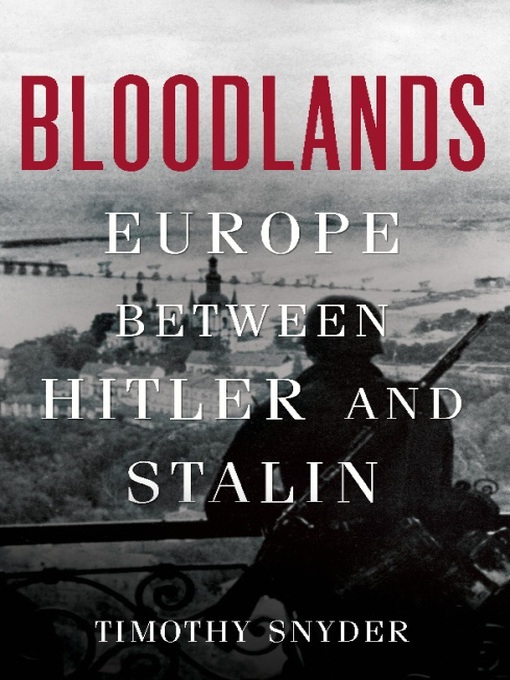 Having thumbed a few pages, Krulak appears a complicated man – gifted, dauntless and extremely driven but also possessed of a mean streak, edging at times toward petty cruelty. After reading approxmately a third of The Human Face of War by Dr. Jim Storr, a retired Lt. 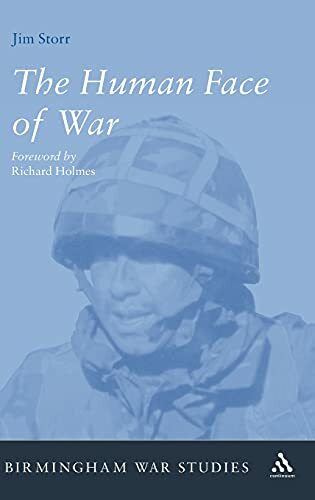 Colonel, King’s Regiment and an instructor at the UK Defence Academy, I will say that if you are going to read only one book on modern military thought this year, it should be The Human Face of War. It’s that good. Aside from a reflexive hostility toward John Boyd’s OODA Loop ( though not, strangely enough, toward the substantive epistemology advocated by Boyd that the diagram represented), Storr’s tome is an epistle of intellectual clarity on military theory that deserves to be widely read. NDU Press recommends, and I concur, this review of The Human Face of War by Col. Colonel Clinton J. Ancker III. Ancker, like Storr, is an expert on military doctrine, so it is a well-informed review by a professional peer. In response to the interest raised on the relevance of the Galula model for understanding and dealing with today’s insurgencies, I conducted a brief inquiry with key experts on the topic – Peter Mansoor, Steven Metz, David Betz, and Alex Marshall. The Galula model applies in those cases where the population of a country is more concerned about the effectiveness and legitimacy of its government than in its sectarian or ethnic make-up. “Classic” counterinsurgency efforts to improve the legitimacy of a government are then operative. In those cases where sectarian or ethnic identity trumps other factors (e.g., Sri Lanka or Chechnya), then protecting the people will avail the counterinsurgent little in the way of gaining their trust and confidence. In these cases, other strategic or operational approaches need to be considered…. To me, the Cold War/Maoist model of insurgency applied in situations where new segments of a society were becoming politically aware or mobilized and thus made demands on the state which it could not fulfill. These demands were both tangible–infrastructure, security, education–and intangible (a sense of identity). That’s why I think it has very little applicability to current insurgencies. Granted current insurgencies attempt to emulate the Maoist strategy because it worked in the past, but I think this will lead to failure. The work of the French officer David Galula was clearly very influential on the thinking of the authors of FM 3-24 Counterinsurgency. There is certainly a lot to like. For one thing, his book Counterinsurgency Warfare is less than 150 pages long which makes it an easy read-four cups of tea and a Sunday afternoon will get you through it. For another, it’s written in a very aphoristic style which is highly memorable. So if you’re trying to get across to a large number of people a number of ‘best practices’ or paradoxes of COIN then Galula is a very good assigned reading. The truth is though that most COIN best practice would fit on a bumper sticker. In fact the new UK Field Manual on COIN comes with a laminated credit card sized aide memoire on one side of which are printed the principles of COIN and on the other ISAF’s game plan for stabilizing Afghanistan. I’m not criticizing-I think it’s a handy thing; my point is rather that Galula and his interpreters sometimes sound a bit like Kipling’s ‘Just So’ stories. In practice, it’s complicated, as one sees in Galula too if you read his longer, messier, more ambiguous and more rewarding book Pacification in Algeria. Anyway, to get to the point I have three main reservations about Galula…..
My issue with the Maoist Paradigm is really two-fold. My first reservation, as a historian, is that we lack a definitive English-language study of Maoist insurgency itself beyond some fairly stereotyped notions of a three-stage or five-stage revolutionary process (from political agitation to guerrilla conflict to regular warfare). Galula and Thompson were great generalizers, but one can scarcely call their work proper historical studies-their general view was that Maoist-style insurgencies involved a degree of mass brainwashing for example. We possess some interesting case studies of how Maoist mobilization worked in practice on the ground, in individual villages or Shanghai for example, but there is so much more that could be done. Thus Western writing during the Cold War in general generated a shorthand stereotype, when in reality insurgency practice was often more diverse. The reason was simple I suggest-most successful insurgents aren’t particularly pithy writers (Guevara and Mao were exceptions), most unsuccessful ones are very quickly dead. My second concern is more overarching however. The majority of discourse on COIN doesn’t take into account the strategic context, remaining locked into the operational level instead…..
A very productive piece by Manea and the gents above. Galula’s historiographic importance in COIN should be undisputed and his contribution to theory acknowledged and respected. Application of Galula’s framework (or, really, anybody’s) for understanding COIN, in analyzing insurgencies should be used cautiously or lightly until there is enough of an emprical understanding of the structure and motivations of the insurgents and the political deficiencies of the state, to see to what extent the model fits, before the operational assumptions of a military bureaucracy and theater command harden into place. Lacking the reliable contingency of a superpower patron on an ideological crusade in the 21st century to impose a stamp of identity and tactics on it’s proxies, insurgencies are likely to be as diverse as La Familia is from FARC, the Taliban or the Real IRA.